Cheap return flights from Germany to Philippines (Cebu) for €461! Vueling summer promotional sale – discounted flights from €58..
*see UPDATE below* Mostly travelers in Germany or Benelux or those that can easily reach Dusseldorf may consider this attractive solution to Philippines based on Cathay Pacific, airline of the year 2015 (awarded by Skytrax). Return flights from Dusseldorf to Cebu or Manila are now available in limited travel options already for €461. Especially the flights to Cebu are an interesting solution if you are looking for a straight way to this part of Philippines. On top of that you would enjoy the service of one of top ranked airlines in the World. There is one short layover in Hong Kong on both outbound and inbound flights. *UPDATE* – For very limited travel options you may still consider to book very attractive return flights from Germany (Dusseldorf) to Philippines (Cebu)with Cathay Pacific,- Plesae refer to below updated booking and travel date samples if interested in this promotional offer of one of the top ranked airlines in the World.. If interested in this Cathay Pacific promotional deal please look for flights in travel period between 1st of September till 31st of December 2015. (Based on the latest date of your outbound flight to Philippines.) You may also consider to visit Hong Kong during your trip in Asia adding €50 on top of the fare for return flight. (per stop-over). This promo sale with Cathay Pacific is valid for flights booked till 30th of June or until sold out. To check some affordable accommodation you may consider hotel booking agents such as Venere. They are now also offering 8% promotional code for additional discount off hotel rooms. More details to be found here. Travel dates are the easiest to check directly with Cathay Pacific as they offer +- 3 days search view. To check your connection possibilities we recommend to use Skyscanner. This tool gives you quickly an idea which low-cost airlines are available from your home city. 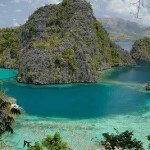 Booking sample of cheap return flights from Germany to Philippines (Cebu) for €461. In this case you would be departing from Dusseldorf to Cebu on 26th of November. Your return flight from Asia back to Europe would take place on 9th of December 2015.